The ink cartridges may not have been installed using the correct procedure, or they may not be seated correctly. 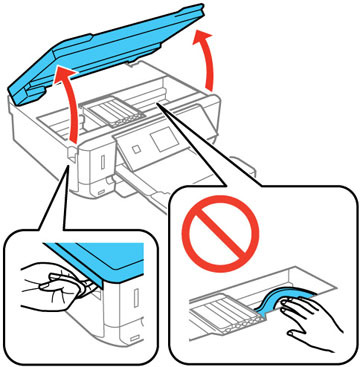 Follow the instructions below to correctly install and reseat the ink cartridges. Note: This product is designed to work with Epson cartridges only, not third-party cartridges or ink. Note: This product is designed to use only genuine Epson-brand ink cartridges. Other brands of ink cartridges and ink supplies are not compatible and, even if described as compatible, may not function properly. Please replace any non-Epson cartridges with Genuine Epson cartridges. If the ink not recognized message is on the screen, select the option to replace the ink cartridge and press the OK button. If the ink not recognized message is not on the screen, press the home button, select Setup > Maintenance > Ink Cartridge(s) replacement. Press the OK button and the start button. 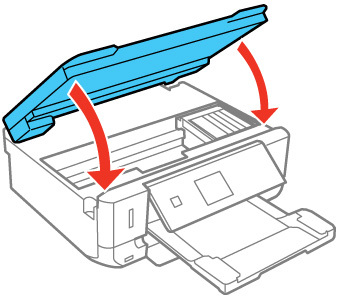 Verify that the ink cartridges are in the ink changing position in the center of the printer. If they are not, close the scanner unit and repeat steps 2 and 3. If your printer still does not recognize the ink cartridges, please contact Epson support. Published: 26-Apr-2018 Was this helpful​? Thank you for the feedback!